Five Department of Kinesiology and Physical Education students will spend their Spring Break in Belize this March as part of a new Engage Global initiative called Alternative Spring BAE. 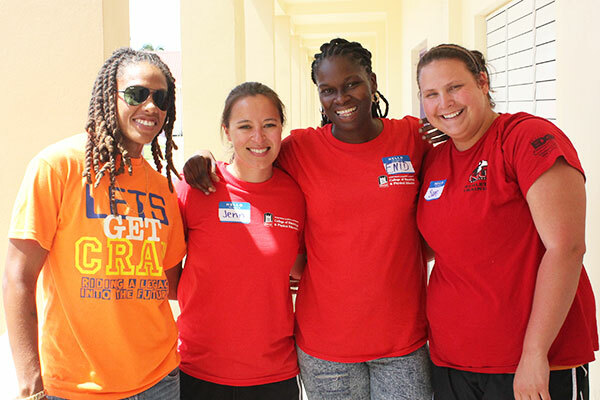 Two master’s students and three undergraduates will train about 50 Belizean coaches, teachers and sport administrators in topics including teaching new sports in schools, first aid, facilities and equipment management, and even fundraising. 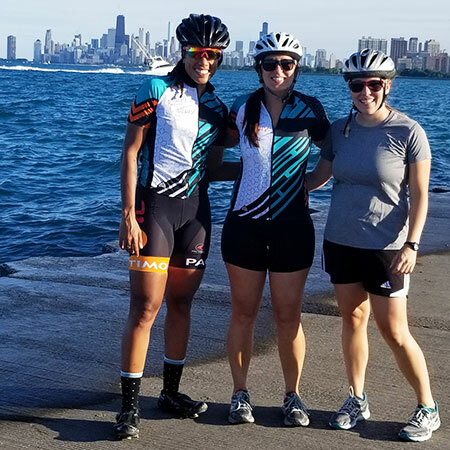 More important, says Jenn Jacobs, an assistant professor of sport psychology, is Alternative Spring BAE’s focus exploring a societal struggle in Belizean culture: inequality in sport. Jacobs is grounding her project on work begun in 2013 by KNPE colleague and mentor Paul Wright. Sponsored by the U.S. Department of State’s SportsUnited program, Wright’s Belizean Youth Sport Coalition involved 27 organizations, 121 coaches, teachers and youth workers and 4,500 youth during its three years. It also made an impact on Jacobs, who worked with the BYSC as an NIU graduate student. Kaya Cattouse (left) and Jenn Jacobs (second from left). Grant dollars were not necessary, however, to keep the lines of communication open. 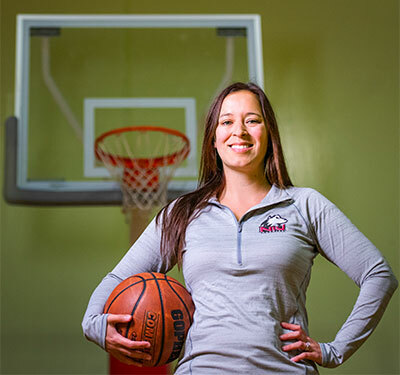 Kaya Cattouse, national sports coordinator at the National Sports Council in Belize City, had become a long-term friend and collaborator. Cattouse is thrilled that NIU is returning to Belize from March 9 to 16, even in a different capacity. 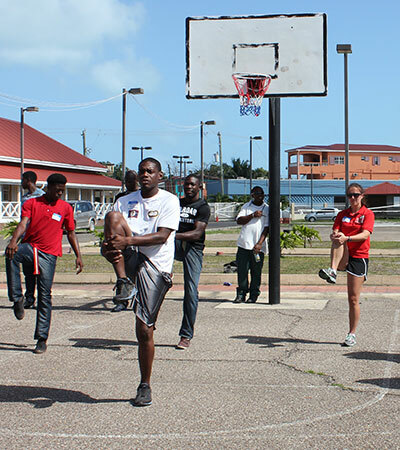 Jacobs (right) stretches with Belizean Youth Sport Coalition participants during her graduate student years. After “brainstorming ideas for years on how we keep this collaboration going,” the pair have found advocacy for their plans. Funding also is coming from an NIU College of Education Curricular Innovation Grant and from the NIU Office of Student Engagement and Experiential Learning. It adds up to “all expenses paid” for the travelers, who were first notified of the trip in early December and given a tight deadline to put their names in the hat. Thirty applied; 15 were interviewed during Finals Week. M.S.Ed. student Karisa Fuerniss, who is serving as “the right hand person” for Jacobs, has designed weekly training sessions that fellow BAE travelers Emma Baumert, Benjamin Lee, Dwight Lewellen and Lauren Meyers will attend until Alternative Spring BAE begins. Language, fortunately, is not a barrier. English is the national language of Belize. “Karisa and I are treating this like a professional work project. You have to get to know your team – their strengths and backgrounds – so we have quite a bit team-building activities planned. Almost no one knows each other so half the fun is going to be building our team culture,” she says. The students already have begun to keep journals, the written reflections of which will help Fuerniss with a research project on how cross-cultural experiences impact college students. Kaya Cattouse, Jenn Jacobs and Karisa Fuerniss. Jacobs can predict those outcomes already. Of course, the trip will come with some fun – and eating plenty of locally caught seafood. And what about the “BAE” part of the project’s name?